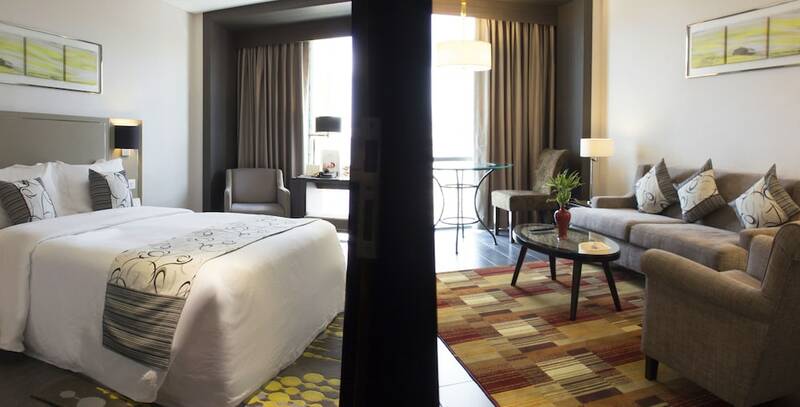 Situated near the airport, this hotel is within 3 miles (5 km) of Resorts World Manila, Fort Bonifacio and City of Dreams Manila. Venice Grand Canal Mall and SM Mall of Asia are also within 3 miles (5 km). Manila Nichols Station is 18 minutes by foot. This hotel features a restaurant, an outdoor pool and a fitness centre. Free WiFi in public areas, free self parking and free airport drop-off are also provided. Other amenities include a steam room, valet parking and a children's pool. All 470 rooms feature thoughtful touches such as bathrobes and slippers, plus complimentary wireless Internet access and LCD TVs with cable channels. Guests will also find fridges, minibars and room service (during limited hours). The hotel offers a restaurant. Wireless Internet access is complimentary. In addition to an outdoor pool and a kid's pool, Belmont Hotel Manila provides a steam room and a fitness centre. A free shuttle from the hotel to the airport (available 24 hours) and An area shuttle are complimentary for guests. This business-friendly hotel also offers concierge services, dry cleaning/laundry services and room service (during limited hours). Complimentary self-parking is available on-site. Belmont Hotel Manila has designated areas for smoking. Cafe Belmont – This restaurant specialises in international cuisine and only serves breakfast.Open daily. This property offers scheduled (on the hour) airport shuttle service from Ninoy Aquino International Airport Terminals 1, 2, and 3 only on a first-come, first-served basis. For more details, please contact the office using the information on the reservation confirmation received after booking. This property offers transfers from the airport. Guests must contact the property with arrival details 72 hours prior to arrival, using the contact information on the booking confirmation. Up to 2 children aged 6 years old and younger stay for free when occupying the parent or guardian's room, using existing bedding. No pets or service animals are allowed at this property.